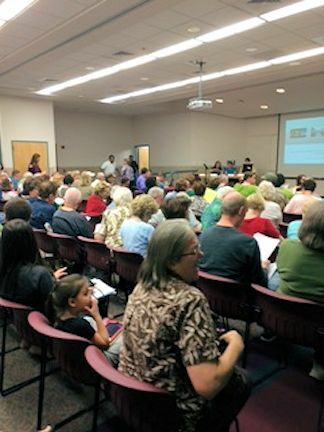 “As a former Glendale Library Director and as a Glendale resident, I want to discuss concerns I have about the potential sale of Foothills Library. I served the city for 27 years and oversaw the construction of both Main Library and Foothills Library. After listening to Mr. Strunk’s presentation at City Council Workshop regarding the library’s sale, I was startled by the appraised amount of the building, site, and art. I decided to check the library’s expenditures on the city website’s “Follow Your Money” ( http://wwwglendaleaz.com/followyourmoney/) to find information about the appraisal. I discovered that Mr. Strunk authorized the use of $4,999 for “Library Appraisal Report” from the Library Book Fund on 8/18/14. The Library Book Fund includes all profits from the sale of books donated by library users. I believe that Mr. Strunk broke an unwritten contract with the public by using this money to pay for an appraisal of the library building for possible sale. Mr. Strunk chose to fund this appraisal with donation profits for a purpose so very opposite of what donors would have wished—the sale of the city’s newest library! I consider this shocking behavior on the part of the Library’s Executive Director. He should be well aware of the source and intended purpose of the Library Book Fund money— enhancement of the library, not vastly diminished services. Mr. Strunk gave a workshop presentation that I consider a blatant sales pitch stressing benefits of selling Foothills Library while omitting the many downsides to the library and FRAC. His written City Council agenda sheet was entitled “Potential Relocation of the Foothills Branch Library and Expansion of Library Services.” The “expansion” he discussed should more aptly be called “reduction of library services” which I believe will result from the sale. I have lost any confidence in Mr. Strunk as the library’s highest executive. To make my distrust even stronger, I noted that the appraisal report cost $4,999. The city web page dealing with purchasing states, “The City Council approved modifications, which make doing business with Glendale as simple and straightforward as possible. The formal limit for bids and proposals was raised to $50,000. The small purchase level was raised to $5,000.” Mr. Strunk’s appearance is of a city employee using a technicality in order to personally select the appraiser, which I feel questions the validity of the appraisal. 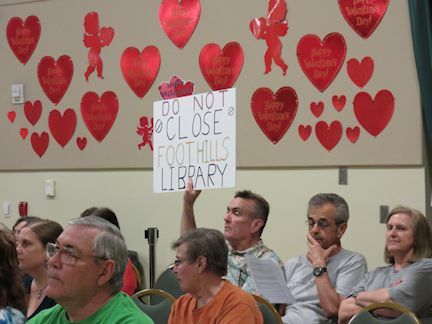 If you are a glutton for punishment and really, really have nothing better to do here are the links (courtesy of the Glendale Daily Planet) to the videos of the Wednesday, February 11, 2015 meeting at Foothills library (warning: it is 3 hours long), https://www.youtube.com/watch?v=SXsazZSakZI&feature=youtu.be and the Thursday, February 12, 2015 meeting at the Adult Center, https://www.youtube.com/watch?v=mopHcIxLkic&feature=youtu.be . What happens now? Each of the three citizen commissions typically meet once a month. 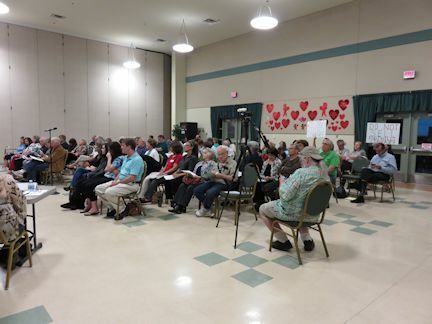 Their February meetings consisted of the presentation on Foothills library. At their March meetings they will have an opportunity to discuss the library proposal and come up with their commission’s recommendation for city council. You have an opportunity to express your opinion on the proposal to each commission member. I would advise you to keep the pressure up by expressing your opinion to every relevant commissioner. This can be accomplished by sending an email to Erik Strunk and copying all three commissions: strunk@glendaleaz.com and at the end of your email please Cc: members of the Parks and Recreation Commission, members of the Library Advisory Board and members of the Arts Commission. It will be his responsibility to make sure each commissioner receives a copy of your email per your Cc. After the three commissions have made their recommendations to the city council, I would expect the proposal to become a city council agenda item for a workshop or regular meeting. I will monitor city council agendas and publicly post when it is scheduled before the city council. I want to congratulate every one who took the time to attend one of the three presentations or all three, for that matter; those who spoke publicly at a meeting; and those who sent emails to the mayor and council. It is so gratifying to see Glendale citizens participate in their local government. It’s not over yet…not until the city council rejects this proposal. Please stay informed and participate in the process. Sadly, I wish that this same caliber of citizen activism occurred on many more Glendale issues. Many of the policy decisions made by your city council result in a profound effect on your lives, such as the temporary sales tax increase becoming permanent. All too often, our concern about a vital issue only becomes visible after the decision has been made. At that point it is often too late and the proverbial horse is already out of the barn. Here is the verbatim transcript of an April 29, 2013 interview with Deputy NHL Commissioner Bill Daly regarding Coyotes’ ownership from Sportsnet.com. I do not know the names of the two gentlemen that anchored the show on Hockey Central. I will refer to one as Anchor 1 (A1) and the other as Anchor 2 (A2). I refer to Bill Daly as BD. 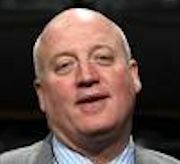 The link for the video is http://www.sportsnet.ca/hockey/nhl/bill-daly-on-hc-noon/ . It starts at about the 8 minute mark and the Phoenix Coyotes discussion lasts for about 3 minutes. My commentary follows the remarks made. BD: “Again, we’re still trying to get it done and there’s a big, a big question mark still out there. We still have to deal with the City of Glendale. This is an understatement. In the city council’s budget workshop of April 26, 2013 the figure that will be used in the approved Fiscal Year 2013-14 budget is $6M annually. There is still considerable doubt that this figure will be acceptable to any prospective buyer of the team. The idea that the team would be given back has never surfaced. The question unasked is what is the NHL’s position on relocation of the team? BD: “Yes. I mean, again, and I should clarify this. I mean, there’s no doubt that we’re dealing with Mr. Gosbee and Mr. LeBlanc and trying to work through and get to a deal with them but there are other interested people who continue, we’re working with at the same time as well. Nobody has exclusivity here. Um, but obviously we’re getting close to having to make some decisions and sign some documentation and you know, we’ve got to work on it. I was on a conference call again last night. It’s something we’re working on”. The rumor that LeBlanc/Gosbee has a deal sewn up is just that, a rumor perpetuated by Mr. LeBlanc. Mr. Daly indicates that the NHL is talking to various groups and there is no exclusivity for anyone. That “different hole” that Mr. Daly is referring to appears to be consummating a sale with the NHL and then presenting it to Glendale, to accept or reject. It appears that the NHL still has a long way to go before any announcement of sale is made. BD: “It’s a complicated question. I can probably take you through it and get to an answer. Glendale’s infusion of $25M annually for 2 years has virtually guaranteed that the NHL did not lose money in attempting to secure an owner. Interview then moved on the Stanley Cup….